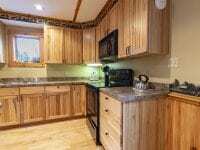 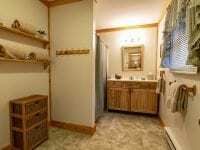 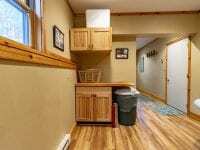 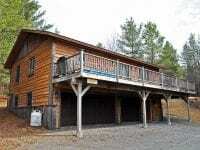 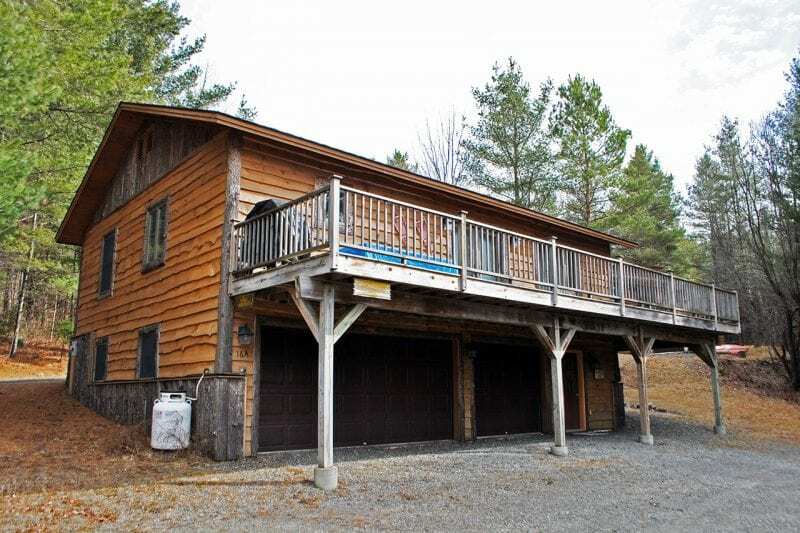 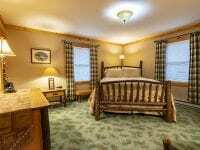 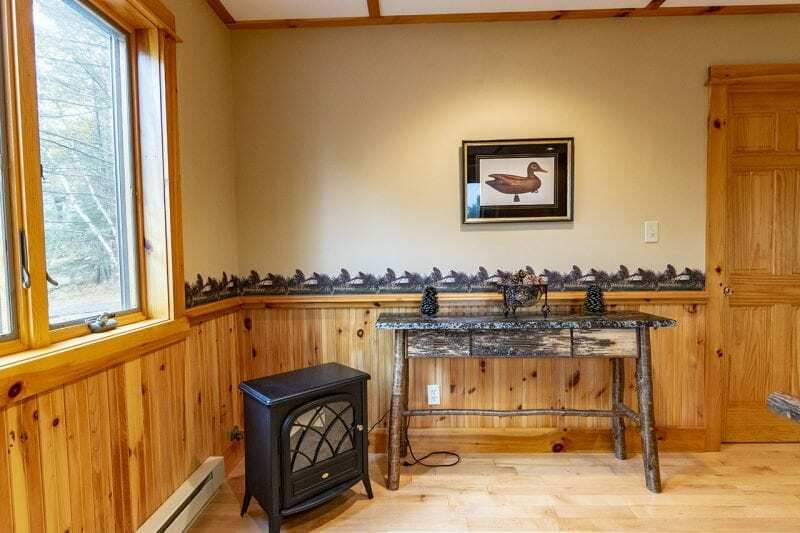 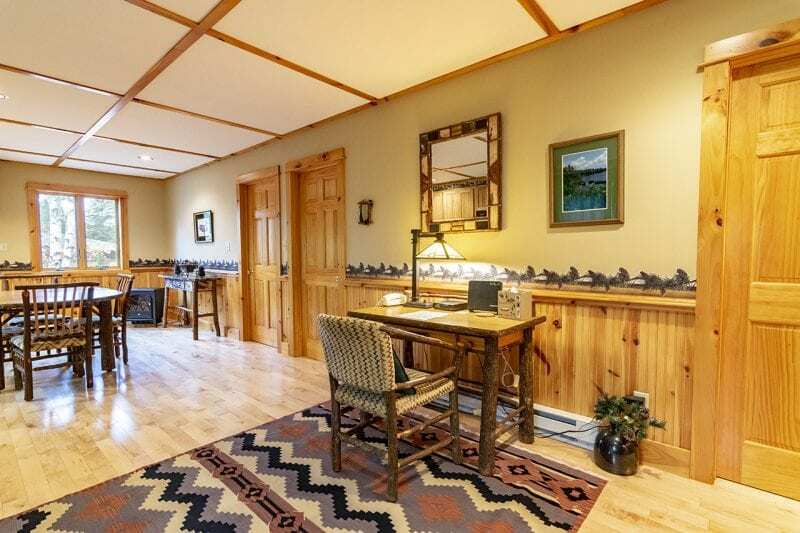 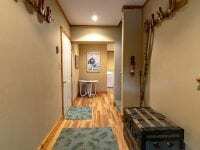 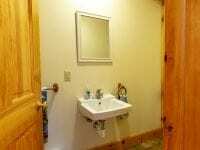 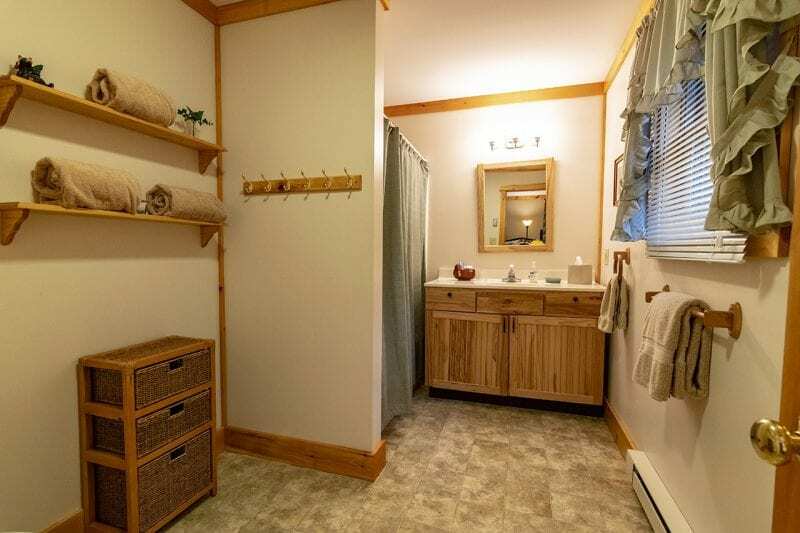 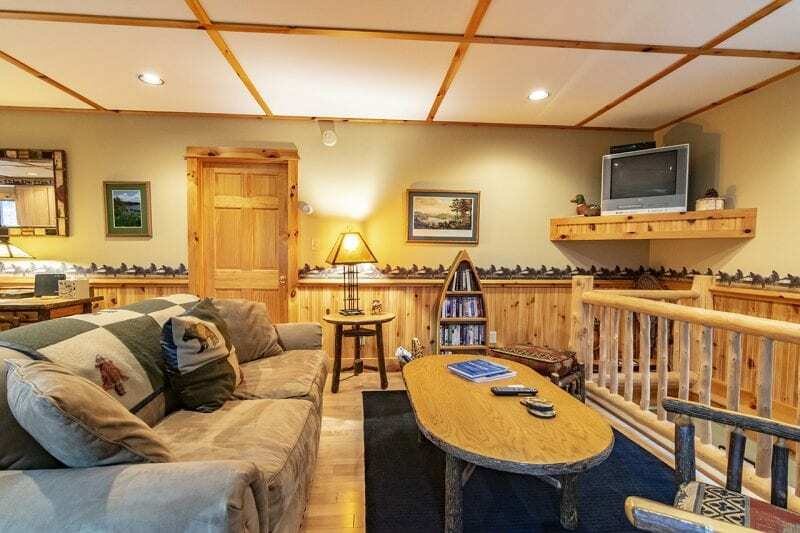 Seneca Loj in Lake Placid is a beautiful and new Adirondack style cottage located directly across from Paradox Bay. 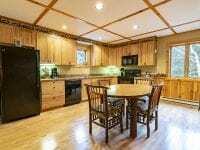 There are 2 bedrooms, 2 1/2 baths and an open floor plan for the kitchen, dining and the living room with a sleeper sofa. 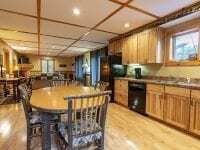 There are French doors leading to an expansive 45 foot deck with a gas barbecue grill, deck chairs and a teak table with seating for 6. 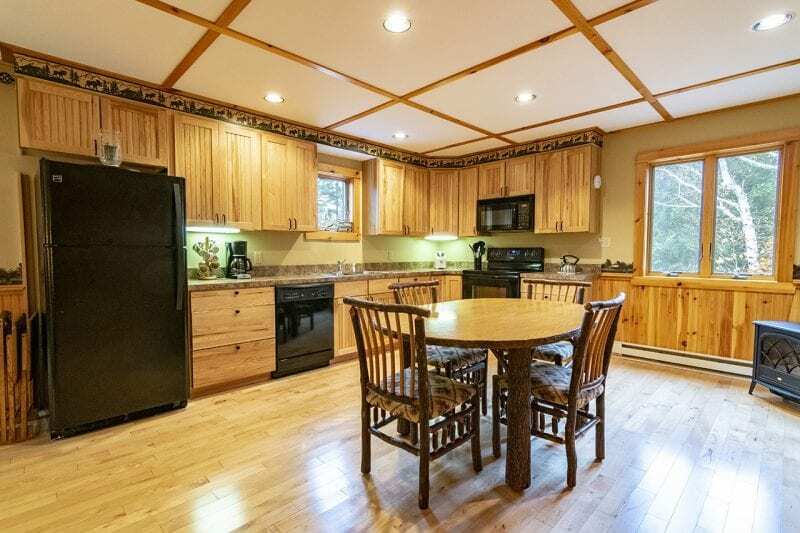 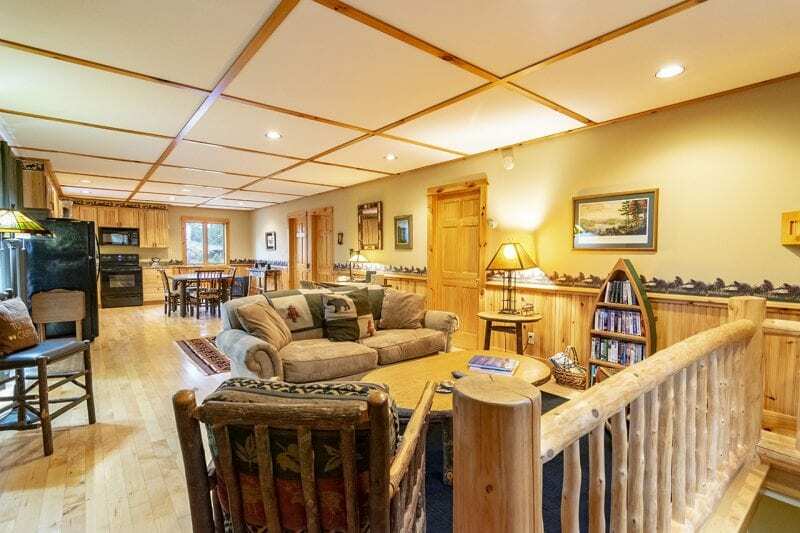 Dine on a deck overlooking Lake Placid Lake and Mckenzie Mountain while gazing on the magnificent sunsets that will be displayed in front of you. 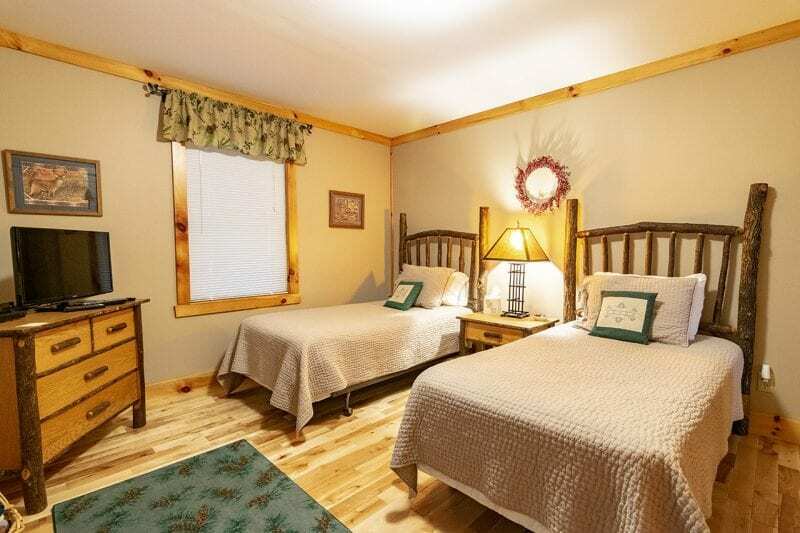 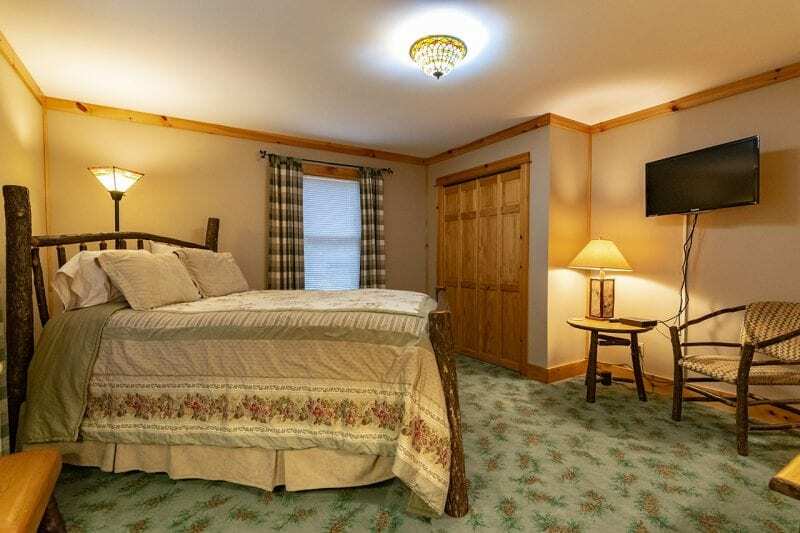 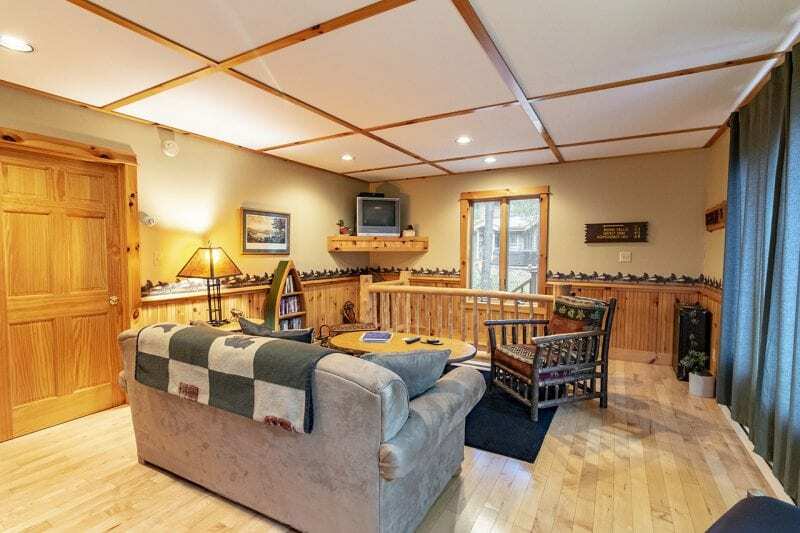 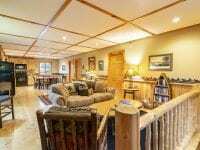 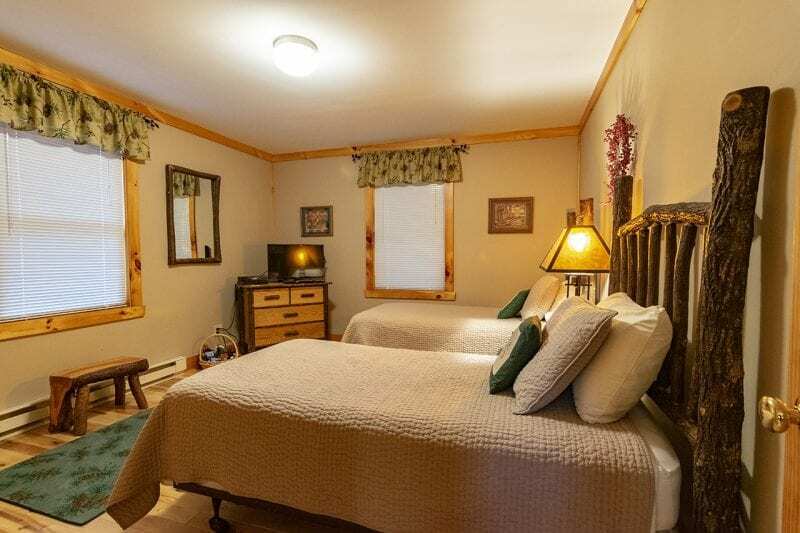 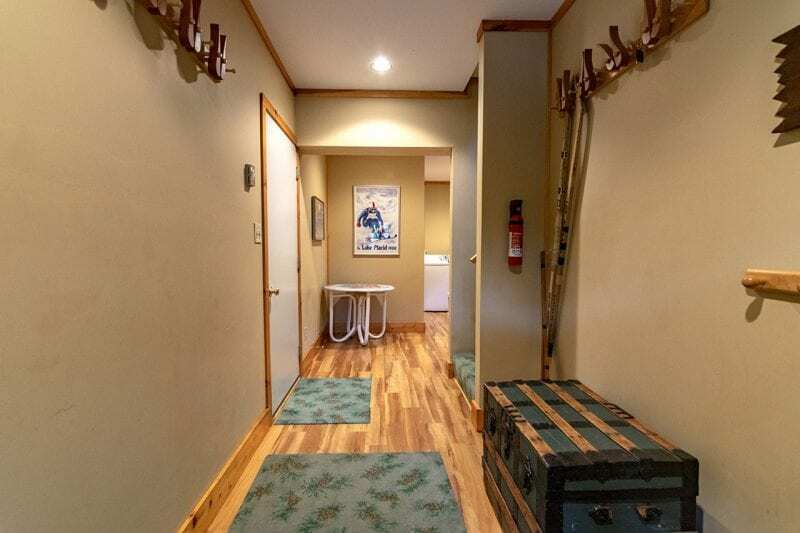 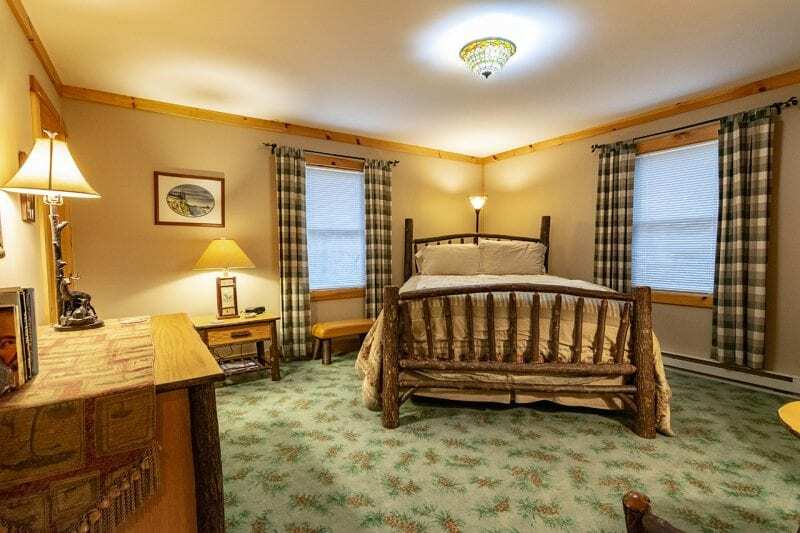 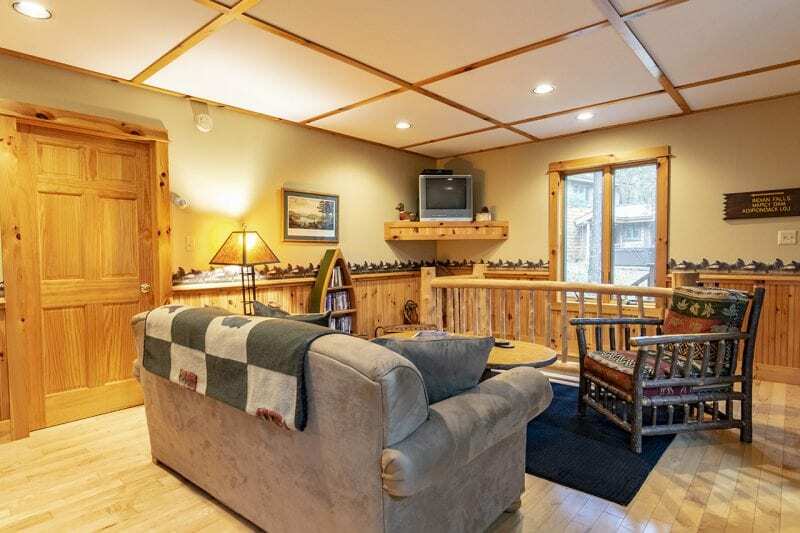 This cozy Loj is only a short walk away from the Main Street shops, restaurants, theaters, public beach, tennis courts and Olympic Arenas or just a 10 minute drive will bring you to the Whiteface Mountain Ski Center for a day of skiing or snowboarding on world famous slopes! 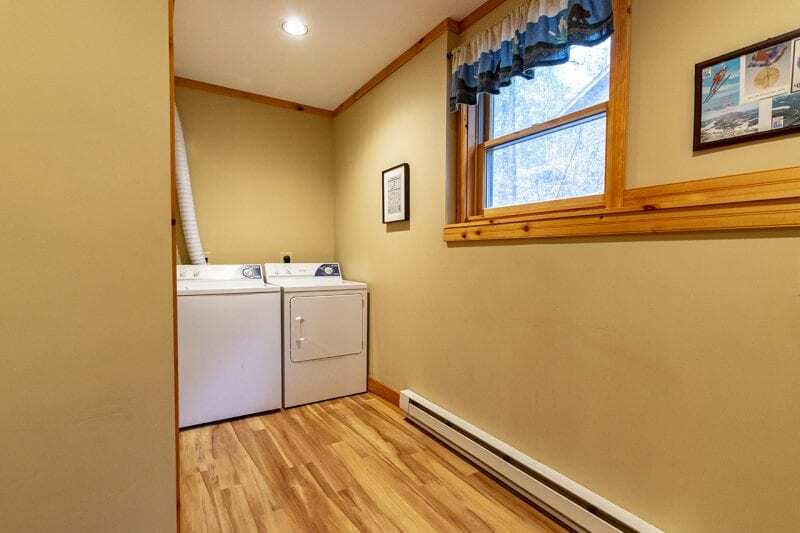 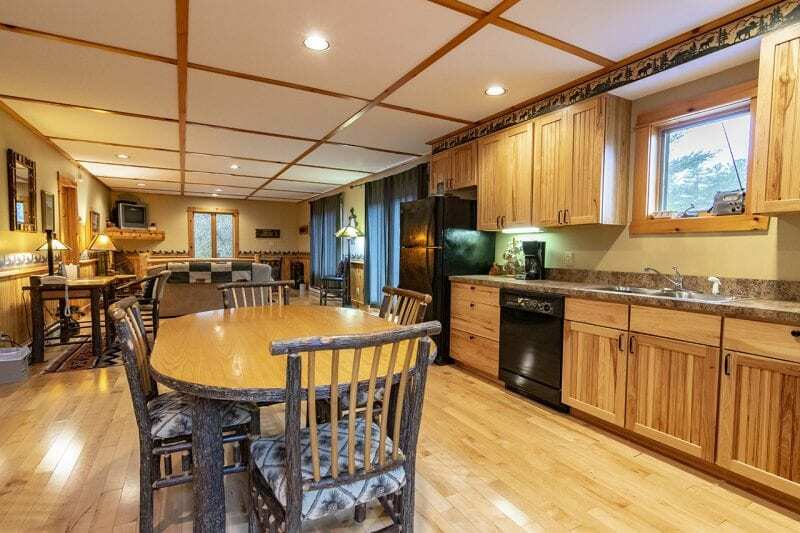 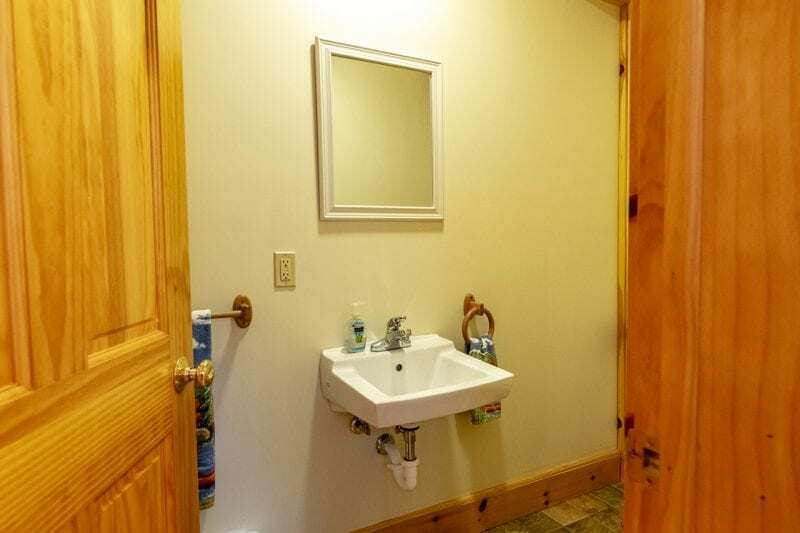 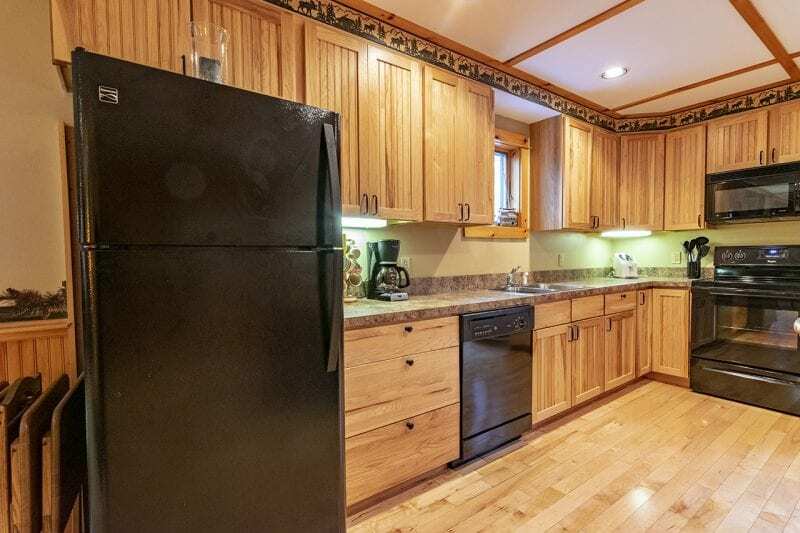 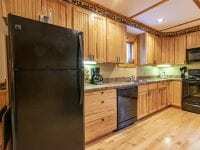 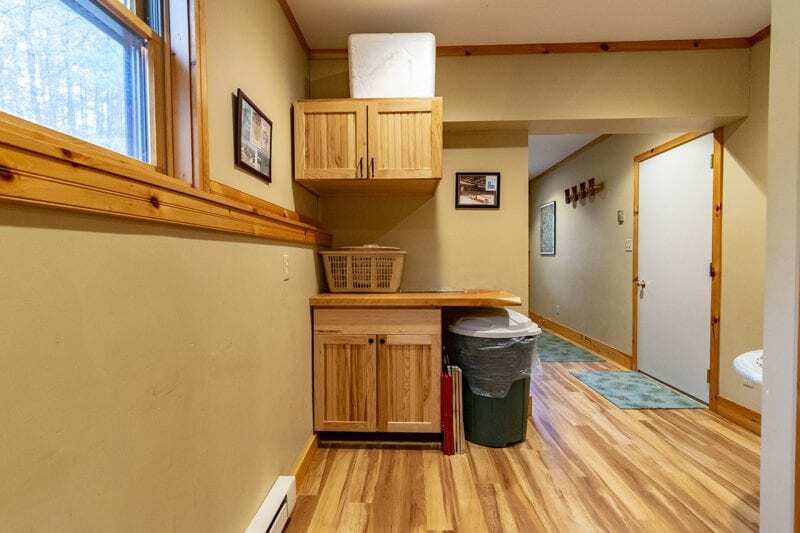 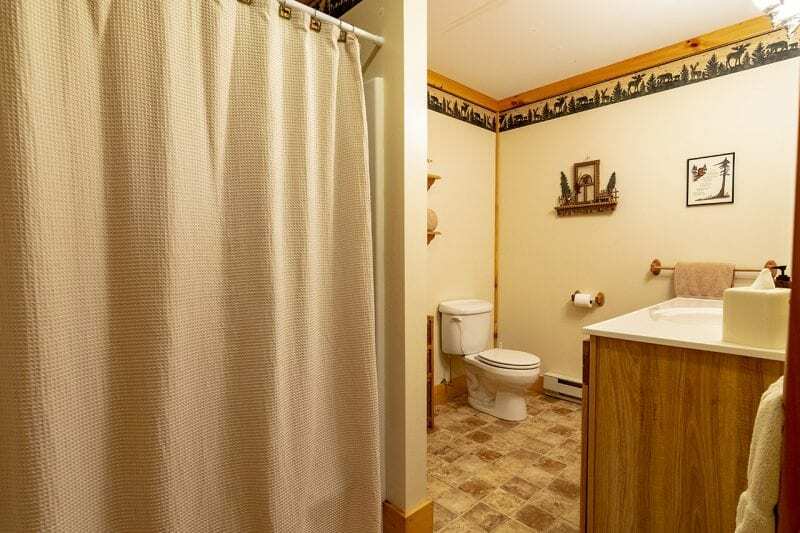 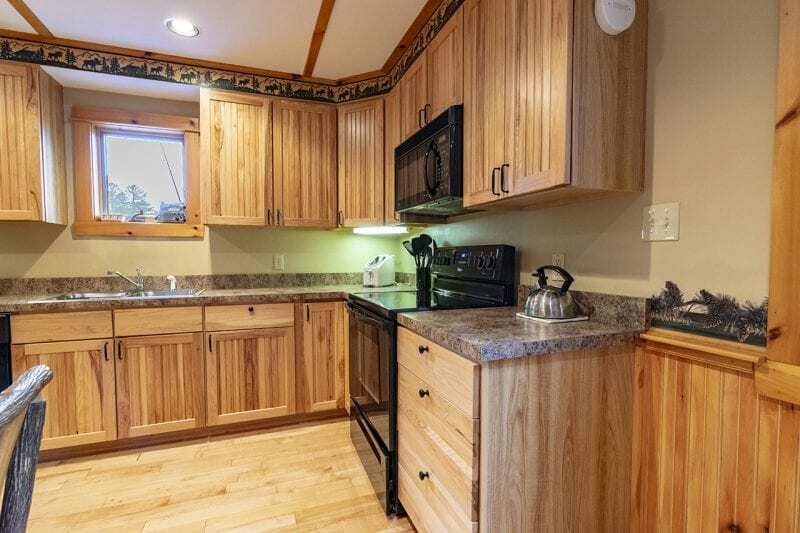 If you would like to bring a motor boat with you to take in some water skiing, kneeboarding, tubing or to just enjoy a relaxing ride and take in the beautiful sights around you on the majestic Lake Placid, this vacation rental also offers the use of a boat slip on Lake Placid for a cost of $400.00 per week.